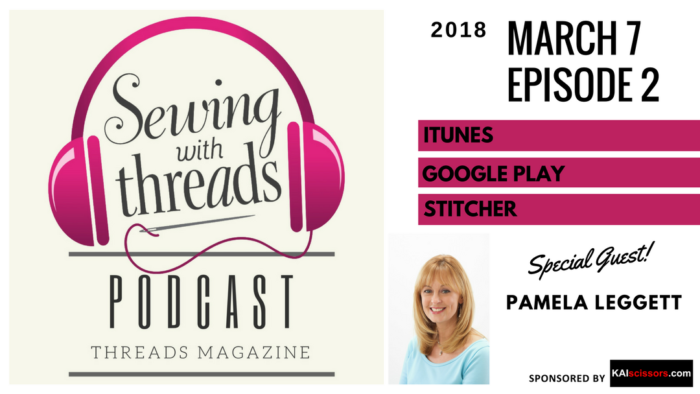 Episode 2 of the Threads magazine podcast features special guest Pamela Leggett. 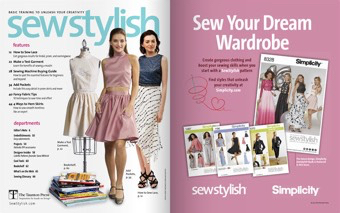 Why is there a disconnect between the sizing of many of the patterns available and the shape of women who sew and wear the designs? www.craftsy.com/PAMELA Limit one per customer. Cannot be combined with any other coupons. Expires March 14, 2018 at 11:59 p.m. Mountain Time. 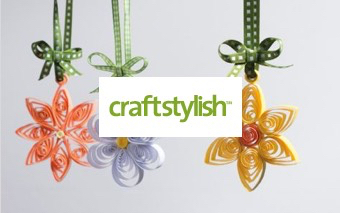 Pamela focuses on fitting techniques and how to overcome fitting challenges in her Craftsy class and classes she teaches in her studio and across the country. 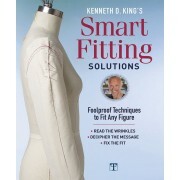 Her pattern line, PamelasPatterns.com, features built-in fitting adjustments that reflect real women’s bodies. 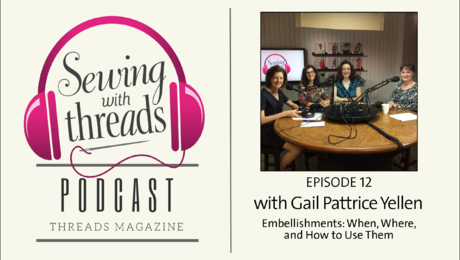 In our podcast, Pamela addresses a question about substituting stretch woven fabrics for a nonstretch woven or a stretch knit when sewing a garment. 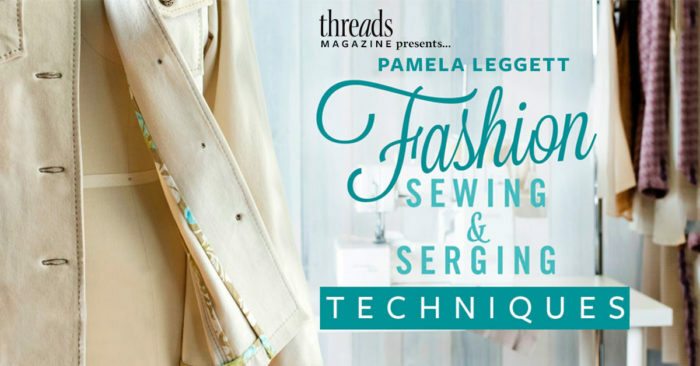 She also answers: “What are some signs that I might need a new blade on my serger?” and “Hemline trends: Should you follow them?” Find out Pamela’s answers to these questions and what her two favorite sewing terms are. Hint: One sounds a little dangerous. 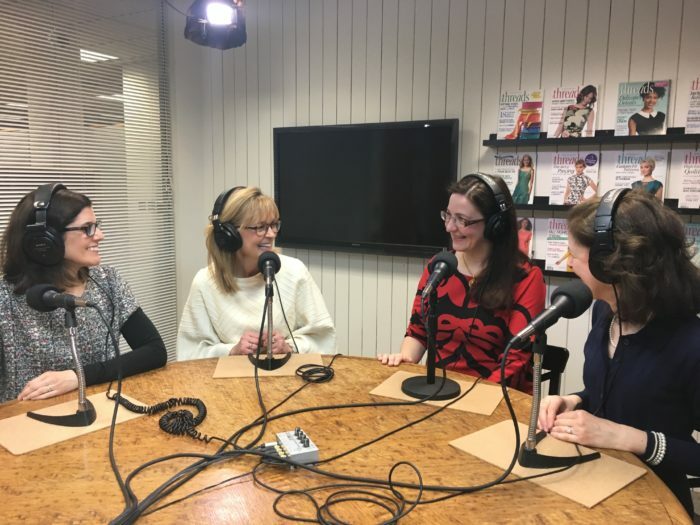 Left to right: Threads Senior Technical Editor Carol Fresia, Pamela Leggett, Threads Editor Sarah McFarland, Threads Senior Copy/Production Editor Jeannine Clegg. 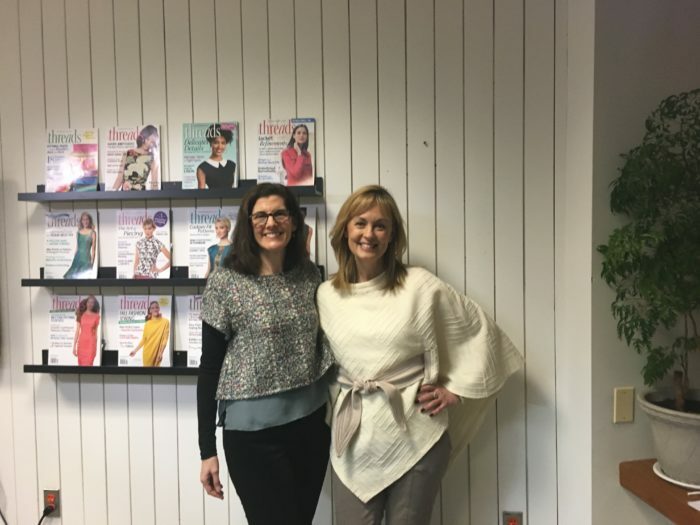 During the discussion, Threads Editor Sarah McFarland took note of Pamela’s self-made a cream-colored, textured knit poncho and of Carol’s bouclé pullover lined with georgette. 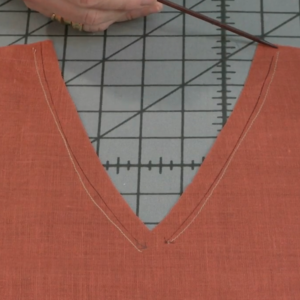 Follow the instructions to make Carol’s top in “Make a Luxurious Layered Top,” and watch the Threads Insider tutorial video “How to Line a Top to the Edge” for installing a lining that also finishes the sleeve hems. 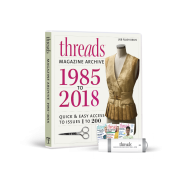 If you would like to submit a question for Threads editors to answer in the magazine, or you would like to submit a question for the Threads podcast, email ThreadsQ&A@Taunton.com. To submit a Point/Counterpoint debate question for the Threads podcast, leave a comment below. 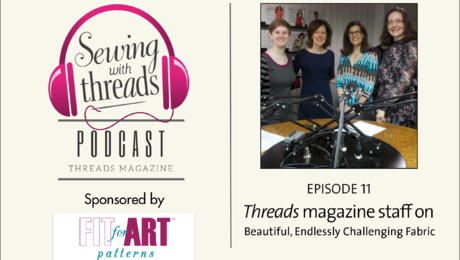 Sewing With Threads is a monthly podcast available on iTunes, Google Play, and Stitcher. Thanks for listening. 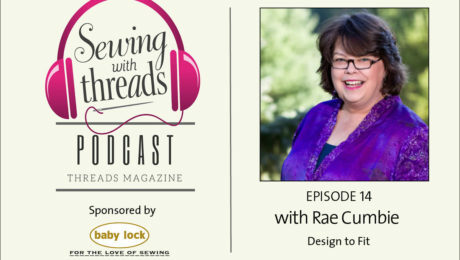 Episode 2 of Sewing With Threads was sponsored by KaiScissors.com. 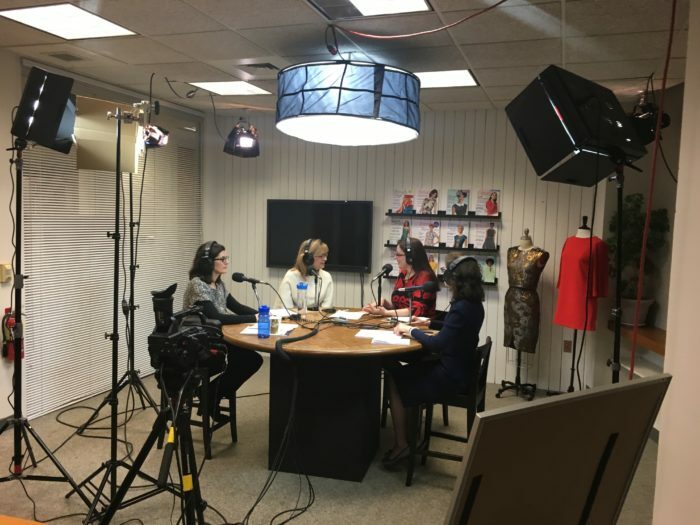 We have created a podcast survey to help guide our content. Please take a moment to answer a few questions. Thank you. I have thoroughly enjoyed both episodes. 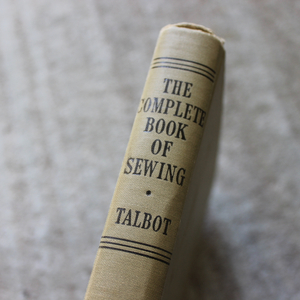 Having been a dressmaking teacher for nearly 20 years, I thoroughly agree with the various points discussed. 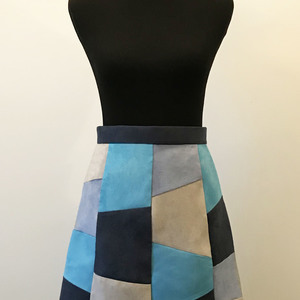 My goal as a teacher has always been that my students learn to make garments that suit and fit their individual bodies. 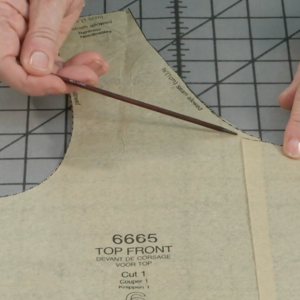 Starting with a basic pattern and perfecting the fit forms the foundation for many more complex garments as their skills increase. 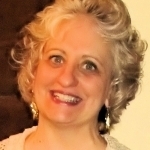 I think the phrase "demoralizing sizing" should enter the common lexicon! I'm wishing that pattern makers would just start using letters instead of numbers. 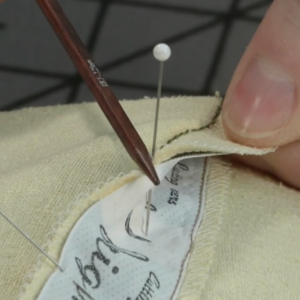 They just confuse the novice sewist anyway! I love Pamela and her patterns. 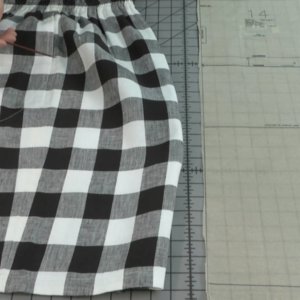 With her patterns I don't have to first grade up and then add four alterations... I might just have to do a little bit around the bust or shoulders and voila, I can sew it up. 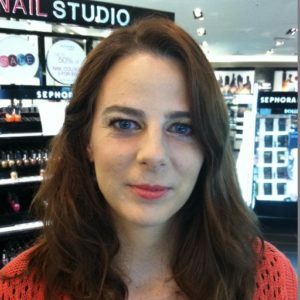 Thanks for inviting her on the podcast. Interesting segment, but too long and too chatty. And the question of why commercial patterns don't fit real people was never really answered. 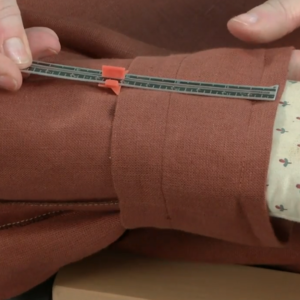 I have always had a totally non-standard body, and I learned when I started sewing for myself 60 or more years ago that I have to measure, measure, measure and alter, alter, alter any pattern I try to use. 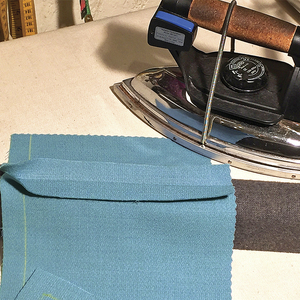 It's daunting, but one reason I always sewed (until I retired and started living in jeans and sweats) was to make clothing that fits me well. 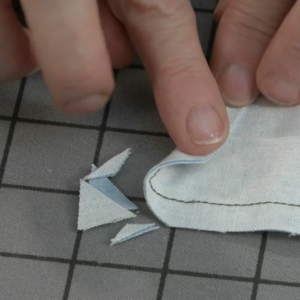 One comment about Pamela's pants adjustment shortening the back seam on pants. 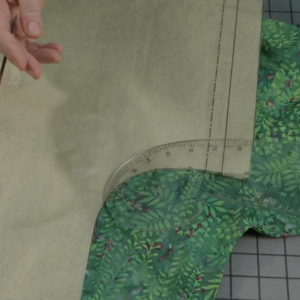 I have an extremely long rise (I'm tall and short-waisted, as well as being a plus-size pear) and I always have to LENGTHEN crotch depth on any pants pattern by at least 2". I realize that no saleable pattern can address all body types, but the number of women I see wearing pants that give them wedgies leads me to believe that this fitting problem is at least as common as wrinkles above the buttocks.. 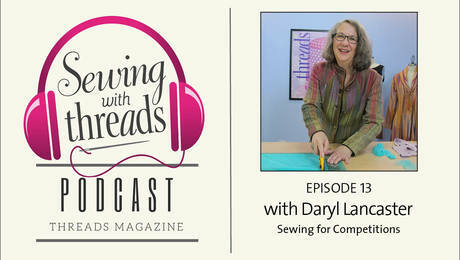 In talking about hemlines and new trends, start small and see how it goes. I like the look of the high low hemlines, but didn't want to start out with a dress. So I hacked the Linden Sweatshirt from Grainline Studios. 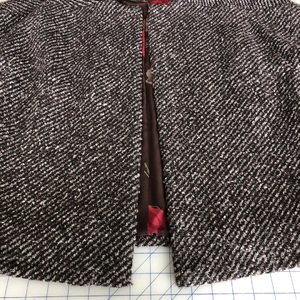 I split the hem band at the side seams and made the back band just 1 1/2 inches longer. It gave me an easy way to see if I liked the look. I do! So I have since gone on to use it on tunics and t shirts. I'm still not ready for a dress, but I tried it. Thank you! I really enjoyed this episode from start to finish! Great job, all! 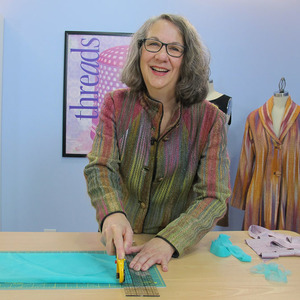 I did find some real patterns somewhere else,that I was looking for.And many of the women said of the new editor,":We wish you would do more sophisticated and advanced sewing,dress making,and patterns in Threads." 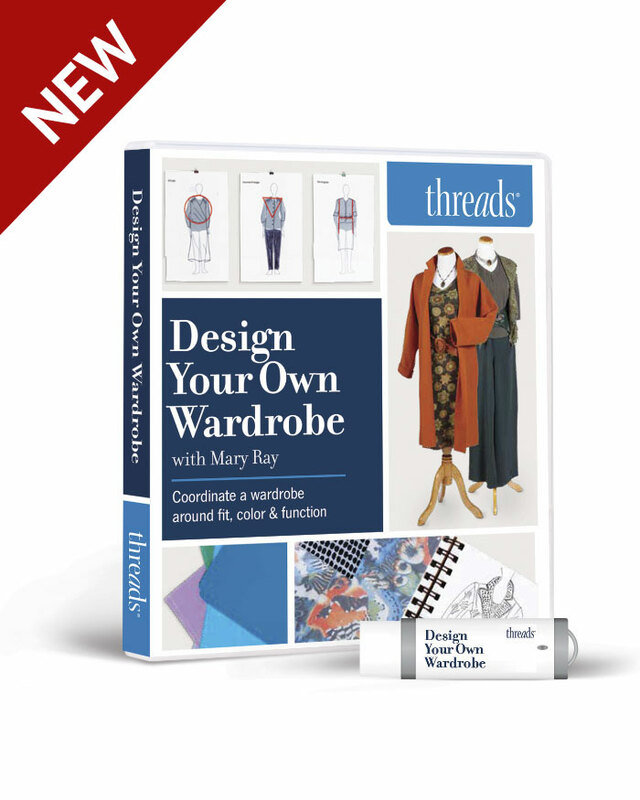 If Threads is not putting out dressmaking and patterns you want,I guess the competition is right out there, for something like a real Trench Coat,for example. If you pay the money for it. That makes me think,"what else is out there,that Threads will not cover, that I really want to sew,and Threads is not interested in that?" I really am not interested in "what the trends and fashions are. "The photo with the 2 ladies in tops, would be something I would never want to make. They are not the professional or tailored patterns I would want. But since I had to google "adult trench coat patterns," I guess some of the things I have been looking for, like the Trench coat, are in other websites and not in Threads. Too bad. 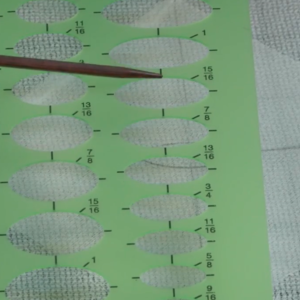 How about paper (envelope) patterns vs. downloadable patterns for Point-Counterpoint. 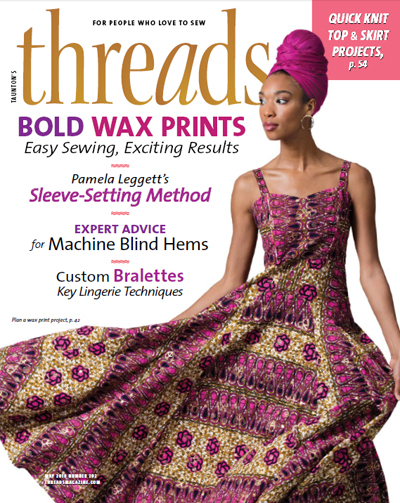 You could also debate pattern tracing such as that required for BurdaStyle magazines.